Following is one of the first articles published at this blog. From April 2009, it is updated today with information about an upcoming and unconventional addiction healing event involving Dr. Mate. A semi-credulous youth in the sixties, I enrolled at UBC in first year Arts, or as we labeled our doors in residence, Pre-Medicine I or Pre-Law I. Campus life and its varied styles intrigued me immediately. Among those demanding attention were anti-war protesters. LBJ was ramping-up action in Vietnam but the student resistance movement was growing too. Often, groups gathered on the main library plaza to shout against U.S. actions in Indochina. But, campus protesters were not much respected then and counter-demonstrators often appeared. One time, a nasty pack of red-jacketed engineering students arrived to torment the peaceniks. I observed from a distance, not bothered by that rudeness or antidemocratic spirit. My analytic skills were unformed and I was comfortable with political orthodoxy. 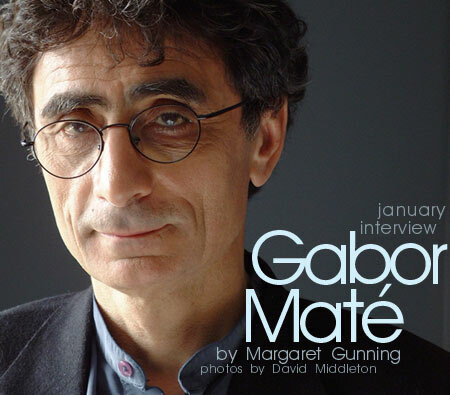 A particular target of the hectoring was a speaker named Gabor Mate. I remember clearly that brave young guy standing up to the bullies, stating unpopular ideas. Mate, in the next few years, was regularly noticed about campus, even if not appreciated by my circle. In later times, hearing Mate speak and through reading his words, my admiration built for his spirit and intelligence, although I never knew him personally. Like many others, my views about Vietnam shifted and I came to regret my passivity at the library on that day of war protest. I realized that Gabor Mate’s conscience was evolved substantially more than mine then. Perhaps that was because he had close relatives victimized by unimaginable Nazi crimes. He knew tragedy of war firsthand. Today, I realize how lucky we are to have individuals willing to step out from the crowd trying to redirect events that the rest of us fail to understand. I learned that he became a teacher, then a physician who left family practice to work with HIV positive drug addicts on the downtown eastside streets of Vancouver. Mate is a behavioral expert, a lecturer and author of four books. His latest, When the Body Says No, argues that chronic disease can be triggered by stress from repression of emotions. Still today, some of Mate’s opinions are controversial but you can be certain that his intellectual honesty remains untempered. For more than four decades, I’ve owed him thanks for that. My schoolteacher son mentioned recently that he had been impressed at a Pro-D lecture given by Dr. Mate. That seemed an interesting coincidence and I reflected on how separated moments of life can unexpectedly connect. Forty something years ago, I didn’t listen very well to student activist Gabor Mate. This year, my son perhaps makes up for that. He intends to use the doctor’s wisdom, without waiting decades. Pro D is ultimately about learning, as is teaching and education. There is no time limit. We are life-long learners. This is the basic message of our teachers. I have had the privilege of being connected with the Mate family for many years. While I do not have a personal connection with Gabor, I would like to confirm your assessment of the good doctor…sincerity, passion, intelligence & conviction, born of direct experience, are family hallmarks. To be admired & emulated when possible. Wonderful that your son is able to influence others in the same vein and that you, Norm, continue to speak truth to power. Would that we all take time to reflect & behave accordingly. Thanks. Your comment is greatly appreciated. Gabor has been at the forefront of standing up to power and for principles for a very long time Norm…I was at UBC at the same time and I remember very well an incident during Engineering Week in 1966 when the red jacketed thugs kidnapped him and trailed him around campus in a jerrybuilt cage on wheels. I think they eventually tried to thrown him in the pond outside the main library and Gabor managed to defend himself with a penknife and get away. Thanks so much for bringing back this piece on Dr Mate. And thanks to him for his courage – then and now.